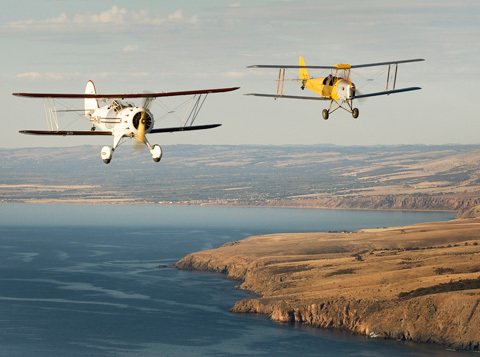 Scenic Flights … Aerobatic Flights … Flying School … Awesome! 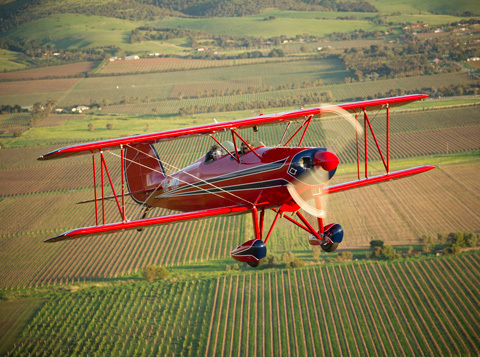 Based at the vintage and charming Aldinga Airfield, Adelaide Biplanes is all about delivering some of the most awesome flying experiences it’s possible to imagine. 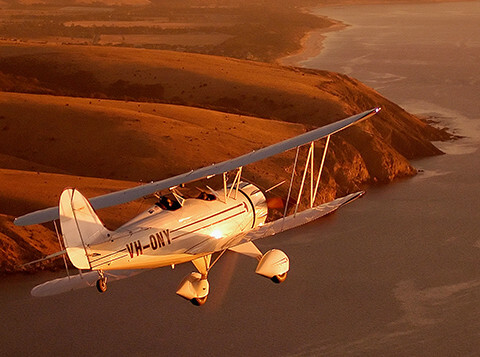 From the joy and sheer romance of a gentle Waco biplane flight at 1,000 feet, along the scenic Adelaide south coast, or experience a vintage Tiger Moth flight with a stunning sunset as your personal backdrop. 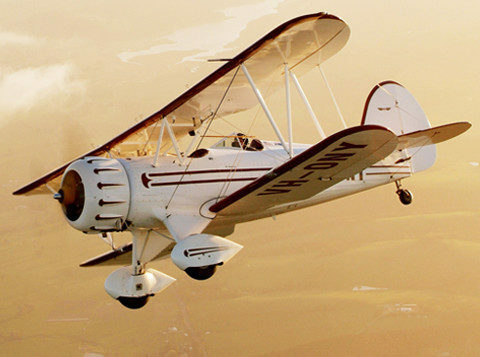 To an extreme Great Lakes biplane open cockpit Aerobatic Flight that offers a totally unique, adrenalin-pumping experience, that literally puts all your senses on overload. 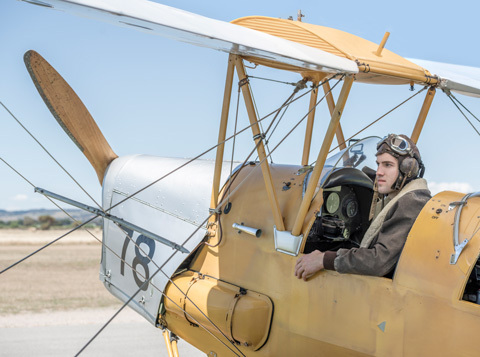 To the ultimate buzz of actually learning to fly at the most motivating, challengingly-fun, inspiringly-easy going and singularly safe Flying School. To a very special and totally relaxing after flight snack from our Flight Kitchen. Home-made cakes, cookies, soup and pasties tantalize as we bake. We also offer Charter Flights for that important trip interstate or a day trip to Kangaroo Island – whether it be business or pleasure. 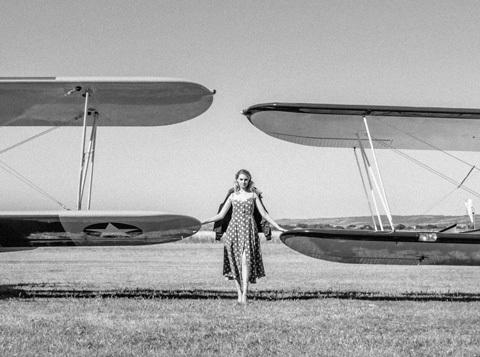 At Adelaide Biplanes, we have a passion for pretty much everything there is to do with aeroplanes. Simply put, that’s what we are all about. 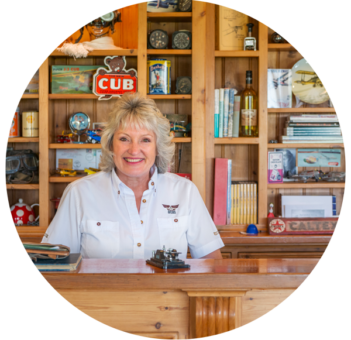 It’s what we look forward to sharing with anyone and everyone who has ever had the slightest dream of soaring with the birds. We look forward to welcoming you here. Soon!